'Tis the Season for SNF Leaves of Absence, Are Your Prepared? Under CB rules, a beneficiary in the midst of a SNF stay must be present for a midnight census in order for the SNF to bill Medicare for services delivered on that day (see SNF final rule, 07/31/00, CFR page 46792). Therefore, if a beneficiary exits a facility during his or her stay and doesn’t return by midnight on the following morning, the facility cannot bill Medicare for the day initiated by the census, even if the absence lasts for less than 24 hours. In this case, the day on which the beneficiary missed the midnight census is considered a “billing leave of absence day” and is not billable, even if the SNF delivered skilled services sometime during that day. In most cases, the leave will be anywhere from a few hours to a few days, but administrators and billers should be aware that lengthier leaves are possible. When longer LOAs are expected, families and beneficiaries may be charged a “bed hold” fee by their SNF. Roberta leaves the building with her family on Thursday at noon and returns Friday at 9:00 a.m. On Thursday, Roberta’s daughter takes her to the family physician, where Roberta receives an x-ray and some lab services. The SNF would not be responsible for the x-ray and lab services that Roberta received on Thursday since she was not in the SNF at midnight on Thursday; the SNF is not paid by Medicare for the day, and SNF CB does not apply unless the day is a Medicare Part A payable day. Roberta leaves the building with her family on Thursday at 6:00 p.m. and returns Friday at 3:00 p.m. On Friday, Roberta’s daughter takes her to the family physician, where Roberta receives an xray and some lab services. In this scenario, the SNF would be responsible for the x-ray and lab services that Roberta received on Friday because she was back in the SNF before midnight on Friday. The SNF is paid for the day, and the services are subject to SNF CB provisions. The Centers for Medicare & Medicaid Services confirms that the facility can bill a beneficiary for bed-hold days during a temporary SNF absence, as provided in Chapter 1 of the Medicare Claims Processing Manual at §30.1.1.1. That section of Chapter 1 authorizes SNFs to bill a beneficiary for a bed-hold during a temporary SNF absence if the SNF informs the resident in advance of the option to make bed-hold payments and of the charges amount, should the resident elect to make bed-hold payments prior to being billed. In preparation for your residents’ holiday leave, there are a few housekeeping items that need to be addressed from a regulatory and best-practices point of view. 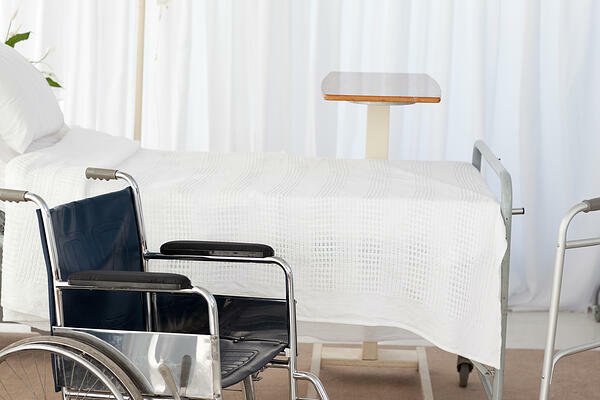 The following tips will help your facility address resident safety issues while meeting appropriate documentation guidelines that ensure a smooth and safe transition for the resident as well as compliance with Medicare’s billing requirements. To better understand what is mandated of SNFs, let’s review the Medicare requirements. Under the Medicare CB requirements, a SNF is responsible for billing outpatient services if the resident is under a Part A stay. Often, SNFs forget that if the resident does not return to the facility on the midnight he or she received the outpatient services, the SNF would not be subject to those CB requirements. This is because the resident was considered an outpatient at the time of the midnight census, which is not payable under a Medicare Part A stay. On the other hand, if a resident is taking a leave and not receiving any outside medical services (such as physician visits), the SNF is only responsible for tracking the number of nights the resident was not in the facility at the time of the midnight census. However, under both instances, the biller must be aware of the leave in order to properly record the number of days the resident was missing from the midnight census on the claim. The days must be reported in units and use revenue code 018X. “It’s good to note with LOA that it’s not going to affect your MDS. Wherever you leave off in the resident assessment, you’ll pick up there when the resident returns,” says Jennifer Matoushek, MBA/HCM, CPC, Senior Consultant, LW Consulting, Inc. Step 1: Implement an LOA policy that is compliant with your state’s bed-hold policy and meets section 483.12 of the SNF Requirements of Participation. In simplistic terms, the policy must clearly state how many days a resident can be absent from the facility, how long the facility will hold the resident’s bed, the conditions for holding a bed beyond the state-defined bed-hold period, any applicable fees that can be incurred during the leave, and the circumstances under which a resident would be considered discharged from the facility. The facility must review this policy and obtain acknowledgment from the resident and/or the resident’s representative prior to the resident’s leave. “Make sure you have instructions on when to present information to the resident in your policy and update the policy on an annual basis to ensure regulations haven’t changed. Billers, social services, nursing, and admissions should be signing the LOA policy to communicate that they understand it,” says Matoushek. Step 2: Obtain a written approval from the resident’s physician. It is important that the physician is involved in the resident’s care and whereabouts. If the resident’s medical condition is too complex to support a therapeutic leave and the resident leaves the facility without the physician giving the OK, the resident might end up getting sent to the emergency room. Step 3: Delegate someone within your SNF to document the 5 W’s of a resident’s leave: who, what, when, where, and why. This documentation should be stored somewhere that is accessible to all pertinent employees (i.e., the clinicians and the billing office) to ensure all departments can perform their jobs efficiently. Step 4: Set up a consultation with the family and/or friend who is taking the resident out of the facility. The discussion should cover the resident’s medication, functional needs, and emergency planning. Often, family and friends are unaware of the responsibilities and risks of taking a frail or ill person out to an event. By educating them prior to the leave, you are better able to prevent unnecessary hospitalizations or emergency room visits. Step 5: Designate someone to keep a log that shows how frequently the resident is leaving the facility. This can serve as backup documentation for the biller and the Medicare Administrative Contractor if a question arises regarding whether the SNF environment is appropriately serving the resident’s needs. However, frequent LOAs can suggest to an auditor that the beneficiary no longer needs an inpatient level of care. Remember, if it isn’t documented, you can’t prove what happened. “If a LOA claim is denied, the SNF will be able to use this log to prove that the resident was on a LOA, for how long, and why. To ensure consistency and accurate documentation, it’s a best practice to make sure the log matches the nursing notes,” says Matoushek. In her experience, she hasn’t seen many claims denied due to a LOA discrepancy. “To avoid billing for Medicare days that aren’t really Medicare days, make sure you stop the resident’s assessment when he or she leaves the facility and resume it when he or she returned,” she advises. Establishing new procedures is never easy. Be sure to take the time to educate and oversee the implementation to ensure smooth sailing. Not only will this make life easier on your biller, but your residents and their families will thank you for it the next time they come back from a family fun–filled afternoon. This article first appeared in the Billers’ Association for Long-Term Care’s flagship publication “Billing Alert for Long-Term Care” November 2018 issue.